Headed to Theopolis Vineyards, Jose and I were so excited to get out of our “seven days a week” home office. We weren’t in the frame of mind to be paying strict attention to all of our details. It was a gorgeous Saturday, and we were headed for an adventure. We entered the Yorkville Highlands on fumes of gas. Jose had said, earlier in the morning as we headed north, I’m going to get gas in Cloverdale. I thought, “Okay.” But as he drove through town, right past all of the Cloverdale gas stations, I then thought, I hope we don’t live to regret this. We did… no sooner than when we began to climb the elevations of Route 128, two gas bars for our Prius, swiftly dropped down to one blinking bar. As we neared Theopolis, where Theodora Lee was waiting for us, Jose said, “I’m going straight into Yorkville to get gas.” I thought, “I hope we don’t regret this,” as we passed Theopolis. When we saw the “Yorkville” town sign, I read, “Population 317.” I thought, “I hope we don’t regret this, and by now, I was beginning to voice displeasure. As drove past the town hall/fire station, I though, “Oh my God.” All this time, the gas bar was blinking, and we had now traveled at least 12 miles with a blinking bar. Jose drove through town (one building), living on a hope and a prayer. Boonville was going to be another 10 or so miles. I had had it. “Turn this car around right now!” I said… And I meant it. I would have rather run out of gas a few miles from Theodora’s, then further from her. Also, with our phones, we had NO bars… We were in trouble. Somehow, through a wing and a prayer, we did arrive. “I’m the first biggest loser to arrive, Jose’s behind me,” as Theo smiled and welcomed me… a half hour late. I had made Jose park at the foot of her hill, not wanting to waste one more precious drop of gasoline, because we still had to get back down that mountain. Since Yorkville is so tiny and mountainous, people live with gasoline on their ranches in containers. 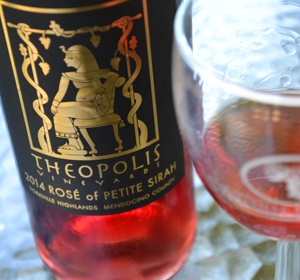 Theo’s tanks were all empty, but her neighbors, Holly Harman and Eric Levin of Le Vin Estate Winery had some gasoline to spare, and so we were finally moving into why we had come to visit Theopolis Vineyards… To meet the famous Theo-patra. 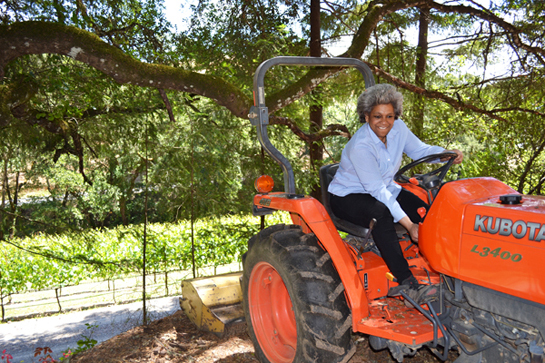 Regal in every way, including being a Texas gal who’s throne is her tractor, off we went into her vineyards to take in why an attorney also likes to get her hands dirty, while keeping her vineyards free of wild turkeys, boars, and anything else that thinks it deserves her crops. We could hear the gobbling off in the distance, and Theo was on alert. As we climbed to the top of her property I thought, “How in the world is this crop harvested?” terraced as it is. Of course, the only answer would be hand picked. When Theodora Lee began her adventure in the Highlands (appropriately named) in 2001, this property was not a vineyard. It had a beautiful home, and was where the Redwoods met the sky. There wasn’t a grapevine in sight. By 2003, Theodora began her adventure in viticulture. 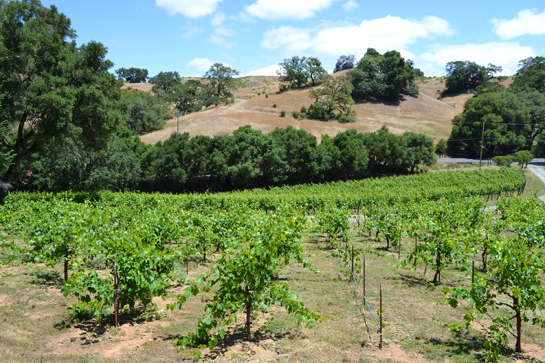 She first planted Zinfandel, but quickly grafted it over to Petite Sirah, which is now all that she is growing on her estate. Originally from Texas, with family members who were sharecroppers, Theodora grew up with agriculture. And, although she became a lawyer, that Texas county woman still had her roots calling her back to the land. She looked everywhere for land, beginning with Napa. It didn’t take her long to realize that the price of land and the amount of population in a small space wasn’t her answer. 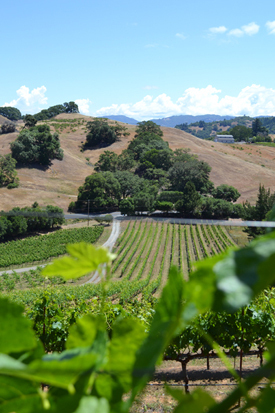 She then came into Sonoma County… Same, same, same. 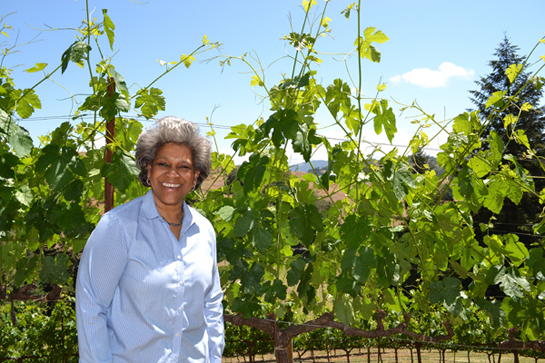 When she found her property in Yorkville, she arrived at her destination, planted a vineyard, and eventually made her first vintage of wine. 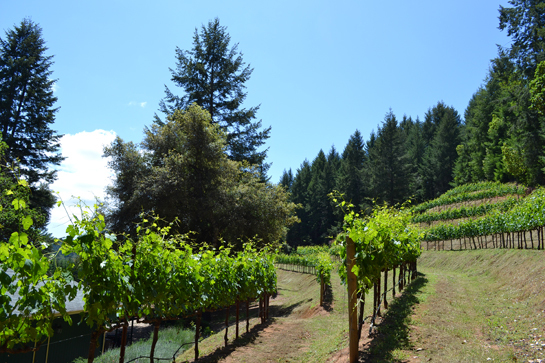 Theopolis Vineyards is a small lot vineyard and hand-crafted winery located in California’s prestigious Yorkville Highlands of the Anderson Valley. 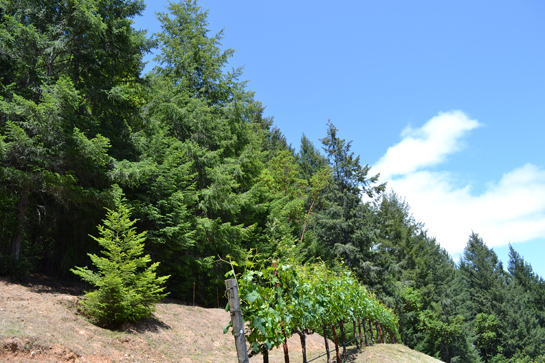 Situated along Highway 128 in southeastern Mendocino County near the border of Sonoma County, the AVA is a highly elevated, rugged interior wine-growing area. 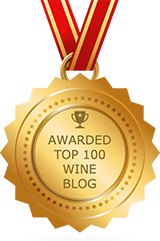 Established in 2003, Wine Critic Robert Parker bestowed upon wine made from grapes harvested from Theopolis Vineyards a stellar rating of 94-96 points, a spectacular showing for the vintner’s first harvest in 2006. Wine critique Robert Parker had the following comment about the wine made from grapes from Theopolis Vineyards. 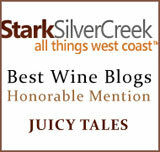 I’ll be writing more about Theodora, our new friend, including her wines, next time. 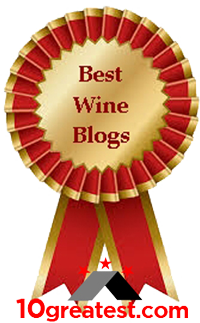 Theo, Jose, and I produced several videos that I’ll be putting on YouTube, as well as Wine Blog. For this story, the images also add much to this introduction of our new friend Theodora Lee. A new member to PS I Love You, this also warms my heart. 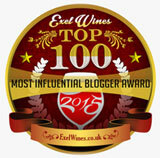 I really admire your drive, although i haven’t experienced any if your wines. I have a desire to open a wine and coffee bar in Atlanta and would love to get some insight from you and display your wines. I’ll pass this along to Theodora Lee, Cassandra.